At this time of peace may we take time to reflect on the blessings and values that permeate our Sacred Heart Cathedral School. Thank you for your continued support, loyalty and dedication to our mission. Thank you for your generosity in volunteering, for always being available, and answering the call to serve. It is truly a sacred privilege to serve you and I thank you for your support as we move forward. May you enjoy this Christmas time with peace and joy. Our prayer is that peace and joy is ever present in our learning, our dedication to our families, and our love for one another. 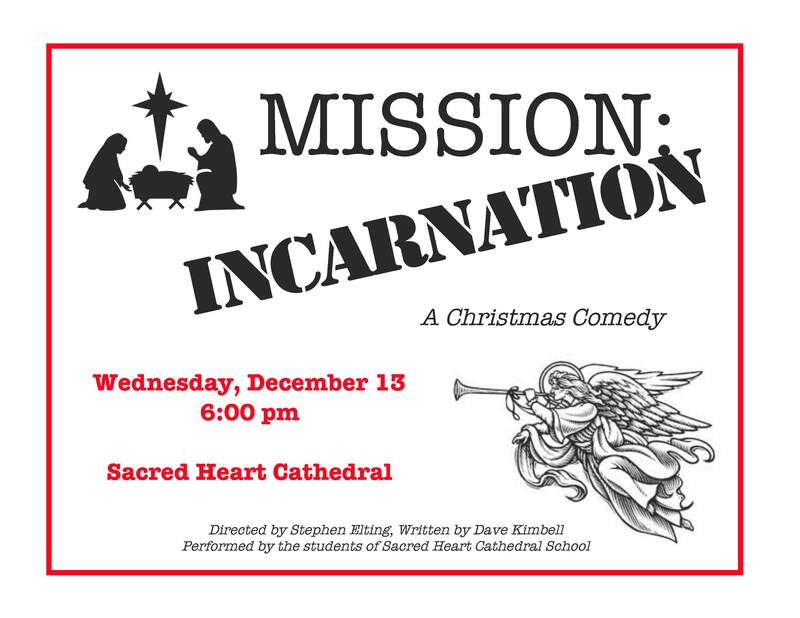 Mr. Kimbell is directing the choir for the 4 p.m. Mass, December 24th at the Cathedral. 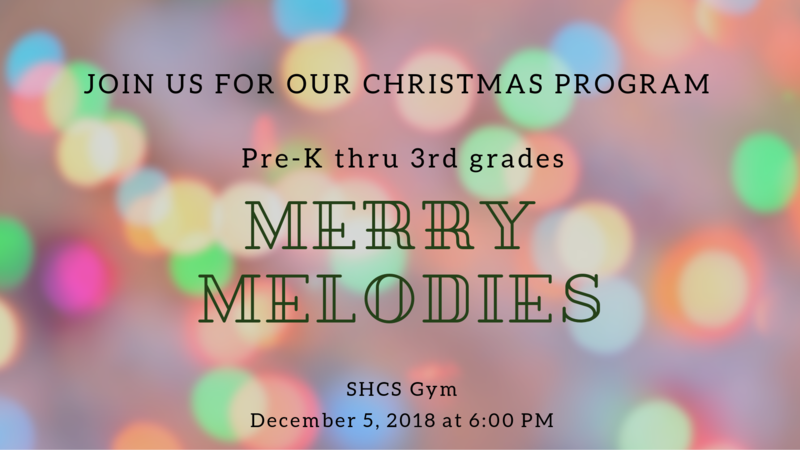 The choir is composed of our Sacred Heart Cathedral School students. Many children and families have committed to be present. 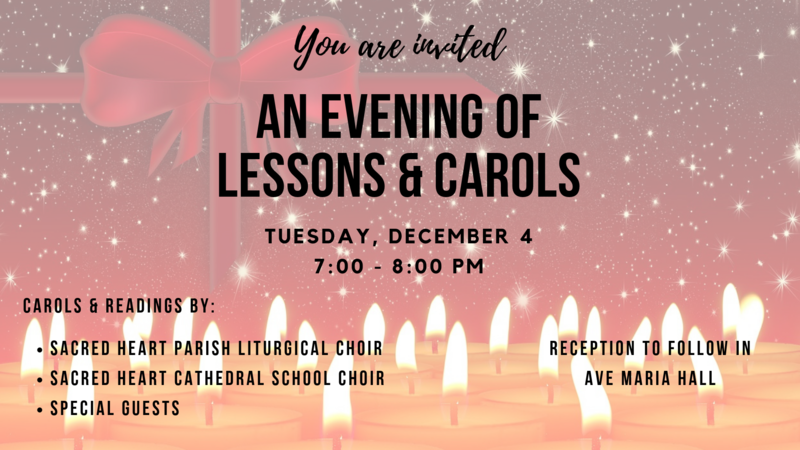 Please join us for this very special liturgy as we join together to celebrate the birth of Jesus. 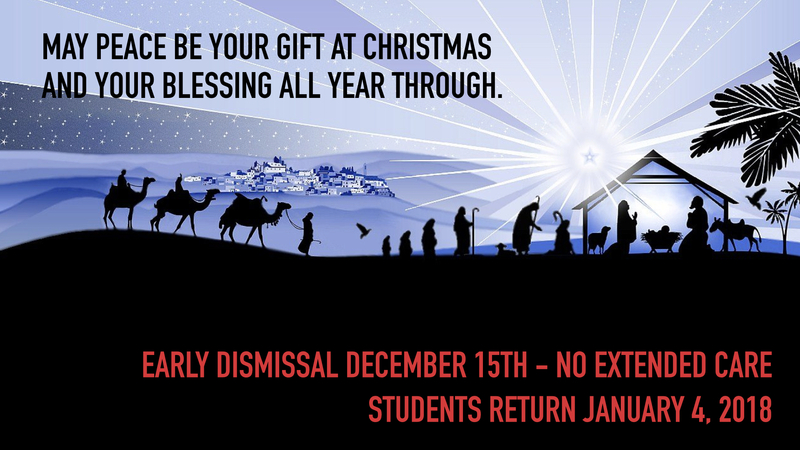 May the New Year bring you continued blessings as we continually work together in achieving the mission of our school.